Almost all the current conflicts in Africa are concentrated in the region north of the equator1, and more particularly in the immense Sahara-Sahel region that stretches from the Atlantic to the Red Sea across more than ten countries. This corridor linking the two oceans is the area between the Mediterranean and Black Africa where north meets south, but above all it marks a real racial divide, with grazing lands to the north and farming areas to the south. The Sahel crosses ten states in which a “white” north is artificially brought together with a black south. Formerly the point of arrival and departure for trans-Saharan trade, and these days for all kinds of trafficking, the Sahel, from the Atlantic to the Red Sea, is ablaze with long-standing and resurgent conflicts. 2. Universal suffrage based on the principle of “one man one vote”, the ethno-mathematical result of which is to automatically give the power to the numerically strongest group, in this instance the southerners. These crisis-generating factors are present in the entire Sahel region, from Mali to Niger and from Chad to Nigeria. In Mali recently, Islamist fundamentalism has opportunistically latched on to northern political aspirations. The north-south conflict is therefore indeed the key to an understanding of the region’s problems. The areas of the Sahel that are currently the most under threat are the Mali-Niger region, Nigeria and Chad, but we must also take a short look at the current burning conflict in Central Africa and consider its relationship with the other zones. Operation Serval, whose main result has been to permit southern Mali to recommence colonising the north, has done nothing to eradicate any of the root causes of the recent conflict. The non-settlement of the Tuareg question only puts off the problem whilst aggravating it. 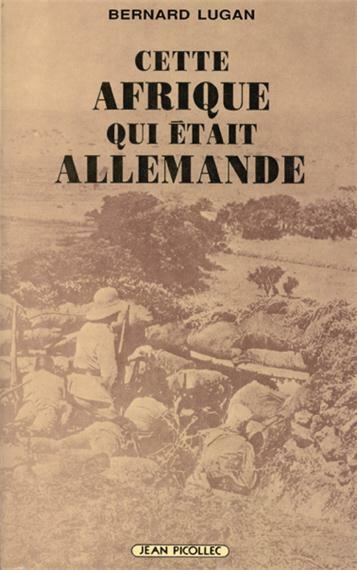 Indeed, nothing has been decided about the necessary administrative reorganisation of Mali, now that the French army has retaken the towns of the north. 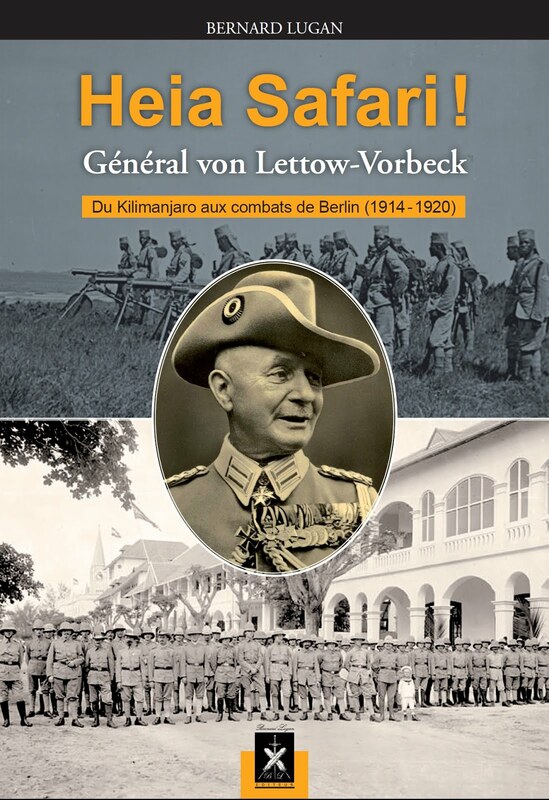 The problem is as follows: Bamako wishes to re-assert its authority over the north, but cannot do so without the French army, and the Tuareg who started the war are demanding extensive autonomy and are refusing the deployment of the southern army in the region of Kidal. - the Songhai, Peul and some Tuareg live in the Niger River region. The vast region covered by Nigeria-Niger-Cameroon has become a veritable Sahelistan spilling over from Nigeria into Niger, Cameroon and a small part of Chad, via the Hasa/Fulani/Kanuri-populated areas. 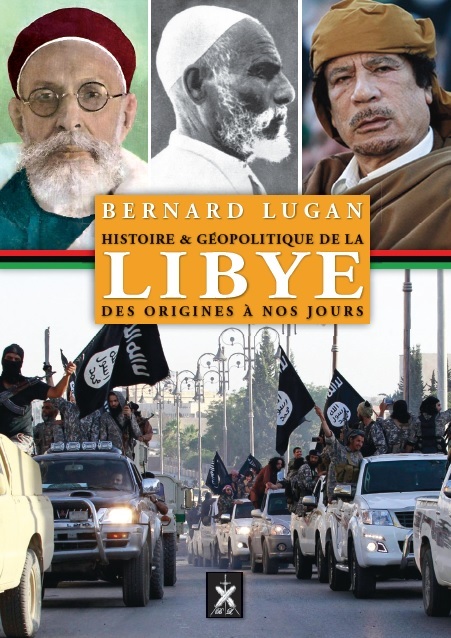 These over-populated regions provide a breeding-ground for all kinds of negative forces: to the north, Libya is unable to control its south, to the east is the ongoing hotspot of Darfur and to the south, Nigeria is engaged in an ethnicreligious civil war. The whole of the north of Nigeria is ruled by Sharia law. This region’s geographic, anthropological, ethnic, historic and religious realities thus make it fertile ground for the Islamists of the fundamentalist movement Boko Haram that has exercised a reign of terror in the north of Nigeria since the end of the first decade of the 21st century and whose influence extends beyond the borders of Nigeria. The Nigerian authorities, which for a while seemed at a loss in the face of the Jihadists, are now waging a real war that is perceived by the north as an attack by the Christian south. Thus three Nigerian States (Borno, Yoba and Adamawa) sharing borders with Niger, Chad and Cameroon are at war. They have declared a state of emergency and imposed a curfew from dusk to dawn. Since 16 May 2013, the Federal Army has been engaged in an offensive against the Boko Haram combatants who have whole areas under their control. 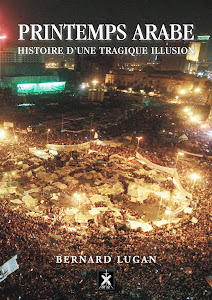 The Federal Army has been unable to regain control of them. Boko Haram broadly exploits the political frustration of the northern élites, who do not want to see the country run by a Christian from the south in the person of President Goodluck Jonathan: a reversal these past few years of the balance of power between the north and south. Previously the northerners controlled the administration and army, which meant that they held the power and could use the country’s oil revenues to their own advantage. Today, with southerners at the head of the country, the northerners have been politically sidelined: they have even lost control of the army. The Muslim fundamentalists who control the north of Nigeria are trying to exacerbate the rift between the north and south in order to impose independence for the north, which would then become a theocratic state in the tradition of the 19th century emirates, with all the geopolitical consequences that this would entail for the region. Can the Chadian bastion resist? In Chad we find the same regional ethnic-geographic divisions, with the Islamised desert region of the north pitted against a Christian or animist agricultural south. On top of that there is a simmering conflict within the north. Chad, plagued by ongoing, latent and potential conflicts, faces four major challenges whose outcome will be decisive for the stability of the region as a whole: President Idriss Déby Itno’s succession and the unresolved crisis in Darfur; the Toubou-Zaghawa rivalry and the Sudanese government crisis. 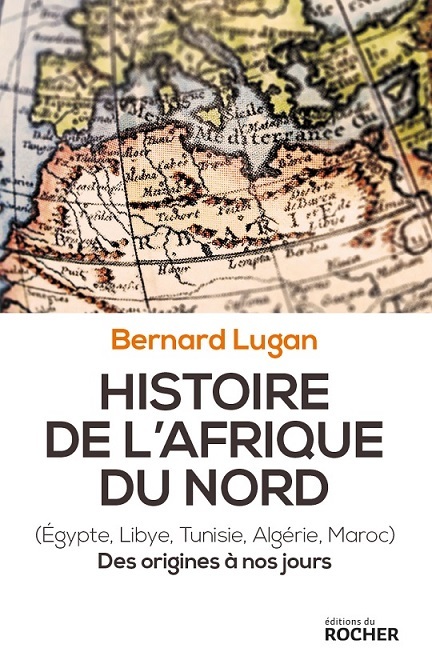 This goes for the whole Sahel region – no military solution is possible unless there is genuine cooperation with the armed forces of the neighbouring countries in which fundamentalists find ethnic continuity and seek refuge when they come under threat. Yet any attempts at coordination in this area run up against political and logistic problems that are well nigh insurmountable under the current circumstances. The only possible solution is a political one; it presupposes a readiness to recognise ethnic and territorial realities and to abandon the diktat of democracy imposed by the West. Indeed, nowhere in Africa have ethnic divides been bridged by elections, for these in reality are nothing but live-scale ethnic opinion polls that only confirm the ethno-mathematical picture. Nowhere in the region has the north-south problem been resolved; that being so, the root causes of the conflicts in the Sahel are likely to persist for a long time to come. (ed/AK) In 2013 the latent crisis in the Central African Republic again erupted into violence between Muslim Seleka rebels and the Christian population. In August 2013, with the country’s government powerless to keep law and order, especially in the capital, Bangui, France urged the United Nations (UN) and African Union (AU) to step up their efforts to put a stop to the ongoing human rights violations. But with the AU peacekeeping mission unable to restore security, French President François Hollande decided to change his position of disengagement and to strengthen the French troop presence in CAR: he increased it by almost 1000 soldiers upon receiving the UN Security Council’s authorisation on 5 December 2013. French soldiers immediately began to patrol in Bangui and were able to prevent a slaughter. In February 2014 the EU Council decided to send its own crisis-management forces to the CAR (see also p. 51). 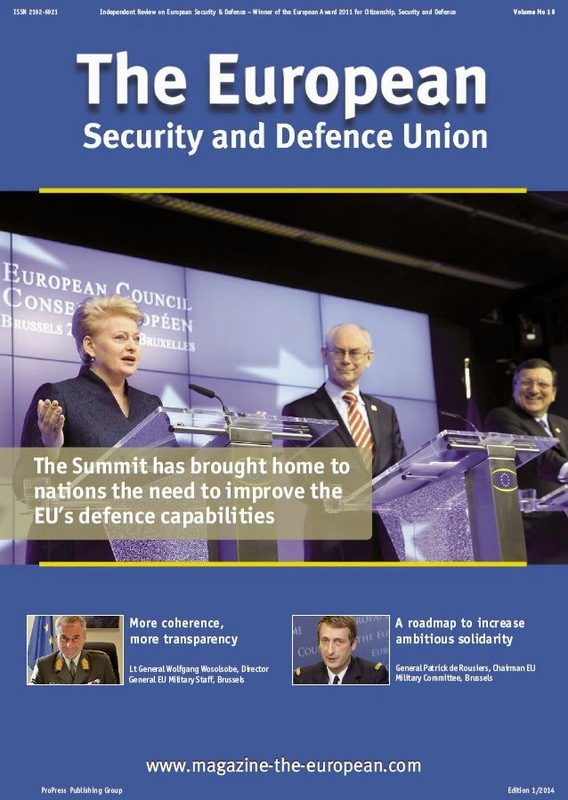 Since then Europe has been struggling to bridge the troop and equipment gap in order to put together a sufficient force to fulfil its promise of a military operation to restore security in the country. With the exception of the Kivu region, which straddles the equator. 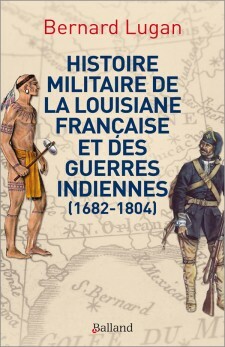 cahier de cartes en couleur, 22 euros. Assassinat du président Habyarimana, jeu trouble de Washington, enquête du juge Trévidic : clés de compréhension et d’explication. Cette analyse peut être reproduite à la condition expresse d’en citer la source. Le 6 avril 1994, l’avion transportant deux présidents africains en exercice, MM. Juvénal Habyarimana du Rwanda et Cyprien Ntaryamira du Burundi était abattu par un missile. Aucune enquête internationale ne fut ouverte afin d’identifier les auteurs de cet attentat qui fut le déclencheur du génocide du Rwanda. Mis en place au mois de mai 1995 après sa création au mois de novembre 1994 par le Conseil de sécurité de l’ONU avec compétence pour la période allant du 1er janvier au 31 décembre 1994, le TPIR (Tribunal pénal international pour le Rwanda) fut installé à Arusha, en Tanzanie. Dès le début, les Etats-Unis d’Amérique firent pression afin que l’attentat du 6 avril 1994, pourtant totalement inclus dans les limites chronologiques imparties au TPIR, soit écarté de son champ d’investigation. Avec une grande constance, tous les Procureurs qui se succédèrent à la tête de ce tribunal respectèrent cette étrange exclusion. Le TPIR spécialement créé pour juger les responsables du génocide, refusa donc de rechercher les auteurs de l’acte terroriste qui en fut la cause (!!!). L’insolite attitude des Etats-Unis pose d’autant plus problème qu’en 1995, il ne faisait alors de doute pour personne que les auteurs de l’attentat du 6 avril 1994 étaient ces « Hutu extrémistes » tant de fois dénoncés par les ONG américaines. Pourquoi les Etats-Unis étaient-ils donc opposés à ce que la responsabilité de ces derniers dans l’attentat qui déclencha le génocide du Rwanda soit officiellement mise en évidence par une enquête du TPIR? La réponse à cette question est peut-être que les services de Washington savaient déjà que l’attentat n’avait pas été commis par les « Hutu extrémistes »… En interdisant au TPIR de mener l’enquête sur l’assassinat du président Habyarimana, les Etats-Unis protégèrent donc de fait ceux qui, en détruisant en vol son avion, permirent au FPR (Front patriotique rwandais), mouvement essentiellement tutsi totalisant de 10% à 15% de la population, de s’emparer militairement d’un pouvoir que l’ethno-mathématique électorale lui interdisait de conquérir par les urnes. Un retour en arrière est ici nécessaire. Washington qui avait décidé de créer un fort pôle d’influence en Afrique centre-orientale, fit de l’Ouganda le pivot de sa stratégie dans cette partie du continent. 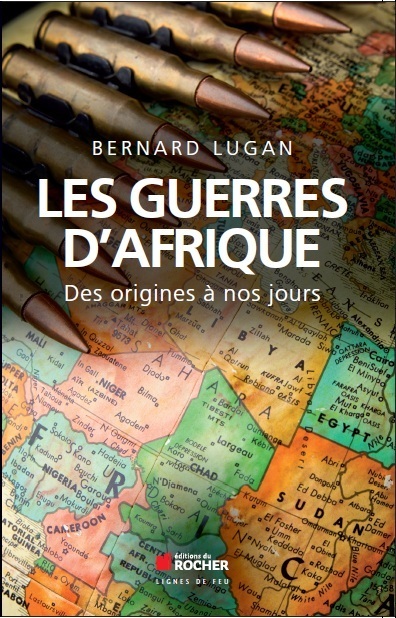 A partir de ce pays, les Etats-Unis armèrent et conseillèrent le FPR qui, depuis octobre 1990, menait la guerre contre le Rwanda. 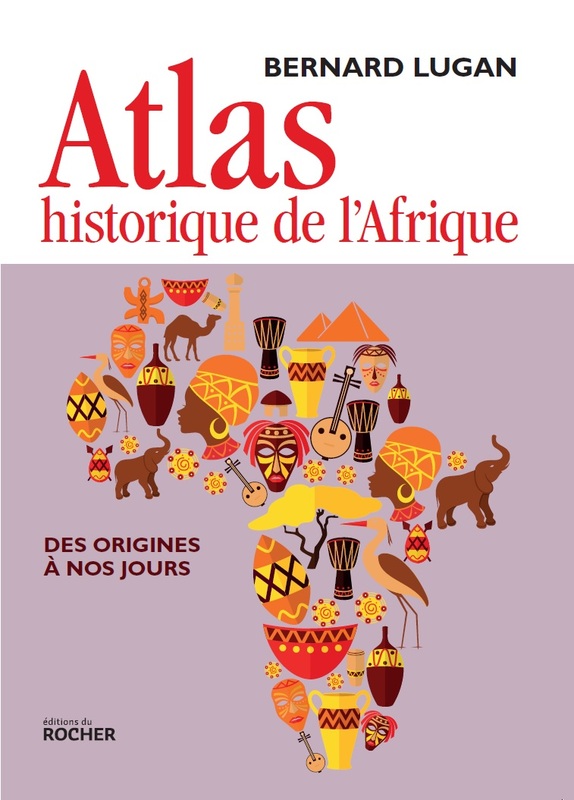 Ils lui fournirent une aide diplomatique et, par le biais d’ONG liées à leurs services, ils montèrent des campagnes internationales de diabolisation du régime Habyarimana tout en présentant au contraire les hommes du général Kagamé comme des combattants de la démocratie. Tant que François Mitterrand fut au pouvoir en France, ce plan de conquête du Rwanda fut mis en échec. Il réussit en 1994 quand, à la faveur de la seconde cohabitation, une droite en partie atlantiste occupa l’Hôtel de Matignon. Le 7 avril, une fois le président Habyarimana assassiné, le FPR reprit unilatéralement les hostilités violant ainsi les accords de paix d’Arusha. Le président Mitterrand fut alors partisan d’une intervention militaire française destinée à ramener le FPR sur ses lignes de départ et cela afin de sauver le processus de paix d’Arusha. Comme le gouvernement de Monsieur Edouard Balladur y était opposé, le général Kagamé eut le champ libre pour conquérir le pays et au mois de juillet 1994 il fut le maître à Kigali. A partir du Rwanda, les Etats-Unis préparèrent ensuite la seconde phase de leur plan qui était le renversement du maréchal Mobutu du Zaïre. En 1997, paralysée par les fausses accusations de complicité avec les « génocidaires » montées de toutes pièces par les services américains et qui avaient été relayées par la presse hexagonale, la France n’osa pas intervenir pour soutenir son allié zaïrois attaqué par une coalition ougando-rwandaise. Le Zaïre redevenu RDC (République démocratique du Congo) fut démembré et l’exploitation-pillage des richesses du Kivu par les sociétés-écran rwandaises débuta. 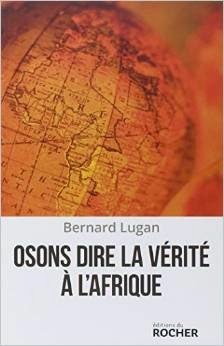 La connaissance de cet arrière-plan est indispensable à la compréhension du dossier rwandais. Revenons à l’attentat du 6 avril 1994. En 1998, saisi des plaintes déposées par les familles de l’équipage français de l’avion et par la veuve du président Habyarimana, le juge anti-terroriste Bruguière mena son enquête. Au mois de novembre 2006, il rendit une ordonnance de soit-communiqué et mit en examen neuf personnalités très proches du général Kagamé, accusées d’avoir organisé ou perpétré l’attentat du 6 avril 1994. Ne pouvant poursuivre le chef de l’Etat rwandais car il était protégé par son immunité, le juge français demanda au TPIR de l’inculper. En vain. La contre-attaque du général Kagamé se fit à travers ses puissants réseaux d’influence français et par le biais d’une presse qui ne cessa jamais de lui servir de porte-voix, notamment Libération et Le Figaro quand Patrick de Saint-Exupéry collaborait à ce dernier titre. Appuyé sur les uns et sur les autres, il tenta une manœuvre dilatoire destinée à discréditer le travail du juge Bruguière en prétendant que ce dernier aurait été influencé par des témoins dont les propos lui auraient été mal traduits ou qu’il aurait mal interprétés. Cette argumentation qui fut reprise sans vérification par les médias ne correspond pas à la vérité car les témoins entendus par le juge Bruguière furent également auditionnés par le TPIR devant lequel la traduction simultanée (kinyarwanda-français-anglais) était faite par des traducteurs assermentés. Or, les procès-verbaux des audiences montrent que ces témoins firent aux juges internationaux les mêmes déclarations qu’au juge français. Avec une différence toutefois : ils déposèrent sous serment et en pleine connaissance des graves sanctions –dont l’incarcération à l’audience-, qu’entraînait le parjure devant ce tribunal international. - Le jeudi 21 juin 2012, à Johannesburg, le général Faustin Kayumba Nyamwasa, ancien chef d’état-major de l’APR (Armée patriotique rwandaise), qui était en 1994 responsable du renseignement militaire du général Kagamé, affirma sous serment devant un tribunal, que ce dernier « a ordonné le meurtre du président Habyarimana», confirmant ainsi les termes de l’ordonnance du juge Bruguière. 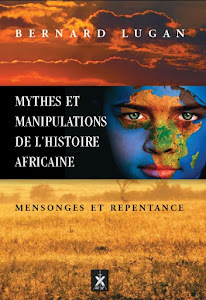 - Le 9 juillet 2013, la correspondante de RFI en Afrique du Sud, Madame Sonia Rolley, publia deux entretiens exclusifs, l’un avec le général Faustin Kayumba Nyamwaza, l’autre avec le colonel Patrick Karegeya, ancien chef des renseignements du général Kagamé, dans lesquels les deux hommes accusaient de la façon la plus claire ce dernier d’être l’ordonnateur de l’attentat du 6 avril 1994 qui coûta la vie au président Habyarimana. Patrick Karegeya qui avait affirmé au micro de RFI qu’il était en mesure de prouver d’où les missiles avaient été tirés, fut étranglé dans sa chambre d’hôtel de Johannesburg le 1er janvier 2014. - En juillet 2013 puis en janvier 2014, Jean-Marie Micombero, ancien secrétaire général au ministère rwandais de la Défense et qui, le 6 avril 1994, était affecté à une section chargée du renseignement dépendant directement de Paul Kagamé, témoigna devant le juge Trévidic. Réfugié en Belgique depuis 2010 où il est placé sous protection policière, il a donné les noms des deux hommes qui, le 6 avril 1994, tirèrent deux missiles sur l’avion présidentiel. Il a également livré nombre de détails sur les préparatifs et sur le déroulement de l’attentat. Ces déclarations recoupaient en les confirmant celles recueilles en leur temps par le juge Bruguière auprès d’autres témoins. Pour le régime de Kigali, ces avancées du dossier sont terriblement destructrices et c’est pourquoi ses affidés ont reçu l’ordre d’allumer des contre-feux. La presse française est donc actuellement et une nouvelle fois à la manœuvre, n’hésitant pas à travestir les faits tout en continuant à réciter une histoire aujourd’hui obsolète. 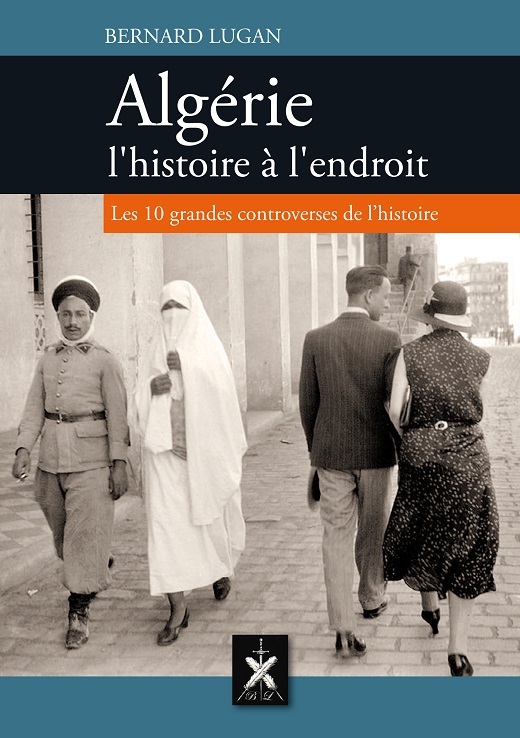 La thèse fondant la « légitimité » du régime du général Kagamé, à savoir celle du génocide « programmé » et « planifié » par les « extrémistes » hutu, a en effet volé en éclats devant le TPIR. Dans tous ses jugements concernant les « principaux responsables du génocide », tant en première instance qu’en appel, ce tribunal international a en effet clairement établi qu’il n’y avait pas eu « entente » pour le commettre. Conclusion : si ce génocide n’était pas « programmé », c’est donc qu’il fut « spontané ». Et s’il fut « spontané », c’est qu’un évènement d’une exceptionnelle gravité poussa certains à le commettre. Nous en revenons ainsi à l’assassinat du président Habyarimana. Que contient le dossier du juge Trévidic ? La question de savoir qui ordonna l’attentat du 6 avril 1994 est donc primordiale. Voilà pourquoi, depuis des années, les services rwandais tentent d’enfumer la justice française, précisément parce qu’elle est la seule à enquêter sur cette affaire depuis qu’en janvier 1997, Madame Louise Arbour ordonna à Michael Hourigan de cesser ses investigations. Quelques mois auparavant, cet avocat australien devenu fonctionnaire de l’ONU avait été personnellement chargé par Madame Arbour, Procureur du TPIR de septembre 1996 à septembre 1999, d’identifier les commanditaires et les auteurs de l’attentat du 6 avril 1994. Madame Arbour voulait alors étayer l’acte d’accusation jusque là rachitique qu’elle était occupée à dresser contre les anciens dirigeants du régime Habyarimana afin de montrer que cet attentat avait été commis par des « extrémistes hutu » et qu’en le commettant, ces derniers avaient donné le signal du génocide qu’ils avaient programmé. 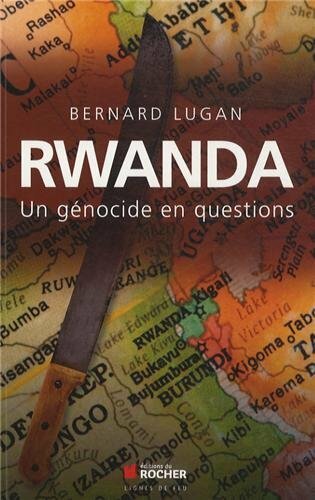 Or, sur place, à Kigali, menant son enquête, Michael Hourigan découvrit tout au contraire que les auteurs de l’attentat n’étaient pas des « Hutu extrémistes », mais des Tutsi du FPR… et il obtint même les noms de ceux qui auraient abattu l’avion du président Habyarimana sur ordre du général Kagamé. Il rédigea ensuite un rapport qu’il remit personnellement à Madame Arbour. A partir du moment où il lui fit ces révélations, cette dernière changea totalement d’attitude à son égard, devenant cassante, le sommant de mettre un terme à ses recherches et exigeant la confidentialité absolue sur ses découvertes. Le contrat de Michael Hourigan avec l’ONU ne fut pas renouvelé. Bien que le TPIR ait refusé de le lui communiquer au prétexte qu’il n’existait pas (!!! ), le juge Bruguière obtint malgré tout une copie du « Rapport Hourigan ». Devant le juge, Michael Hourigan authentifia son texte et il en confirma la teneur. Le capitaine sénégalais Amadou Deme, adjoint de Michael Hourigan et ancien numéro 2 du renseignement de l’ONU au Rwanda a confirmé à la fois les résultats de l’enquête à laquelle il avait personnellement participé et l’insolite changement d’attitude de madame Arbour à partir du moment où le FPR fut suspecté d’avoir assassiné le président Habyarimana. 1) Comment le juge Trévidic aurait-il pu faire autrement que de refuser le non lieu avec un dossier donnant, entre autres, le lieu du tir des missiles, les noms des deux tireurs et des membres de leur escorte, la marque et la couleur des véhicules utilisés pour transporter les missiles depuis l’Ouganda jusqu’au casernement de l’APR situé au centre de Kigali et de là jusqu’au lieu de tir à travers les lignes de l’armée rwandaise ainsi que le déroulé de l’action ? 2) Comment le magistrat instructeur aurait-il pu rendre un non lieu quand son dossier contient la preuve que l’avion présidentiel rwandais a été engagé par deux missiles dont la traçabilité a été établie ? Grâce à la coopération judiciaire de la Russie il sait en effet que ces deux missiles dont les numéros de série étaient respectivement 04-87-04814 et 04-87-04835 faisaient partie d’un lot de 40 missiles SA 16 IGLA livrés à l’armée ougandaise quelques années auparavant. Or, Paul Kagamé et ses principaux adjoints furent officiers supérieurs dans l’armée ougandaise avant la guerre civile rwandaise et, de 1990 à 1994, l’Ouganda fut la base arrière, mais aussi l’arsenal du FPR. 3) Comment un non lieu aurait-il pu être envisagé quand, devant le TPIR, il fut amplement démontré que l’armée rwandaise ne disposait pas de tels missiles et que l’arme du crime était en revanche entre les mains du FPR ? 4) Comment le juge Trévidic aurait-il pu satisfaire à la demande exorbitante de non lieu alors qu’il sait que cette même armée rwandaise, paralysée par l’embargo sur les armes et la mise sous séquestre par l’ONU de son armement lourd et de ses hélicoptères, n’était pas en état de combattre et que ce fut le FPR qui reprit unilatéralement les hostilités car il savait qu’il allait gagner la guerre ? 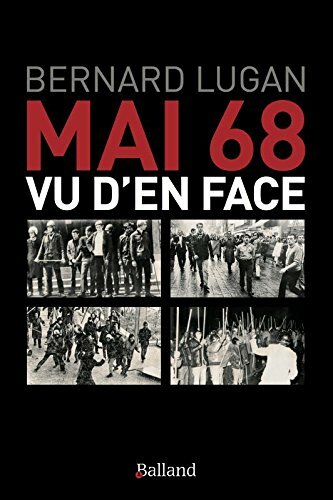 5) Comment un tel non lieu aurait-il pu être justifié alors que, comme cela fut largement démontré devant le TPIR, les forces du FPR qui n’attendaient qu’un signal pour lancer leur offensive préparée de longue date, reçurent l’ordre de marche depuis leurs bases de la frontière ougandaise dans la nuit du 6 au 7 avril, juste après l’annonce de la mort du président Habyarimana ? Le général Kagamé va-t-il néanmoins réussir à faire enterrer le dossier ? En dépit de toutes les pressions qu’il subit, il faudra bien que, tôt ou tard, le juge Trévidic face la balance entre les éléments que contient le dossier de l’assassinat du président Habyarimana. Or, si le magistrat instructeur a bien entre les mains suffisamment d’éléments pour renvoyer les mis en examen devant la Cour d’Assises, tout va in fine dépendre du Parquet chargé de porter l’accusation à l’audience. Nous voilà donc revenus aux réseaux d’influence que Kigali entretient en France et dont la mission est de tenter d’influencer le juge Trévidic pour que soit étouffé le dossier. En effet, et comme l’a dit Madame Carla Del Ponte qui succéda à Louise Arbour au poste de Procureur du TPIR : « S’il était avéré que c’est le FPR qui a abattu l’avion du président Habyarimana, c’est toute l’histoire du génocide du Rwanda qu’il faudrait re-écrire ». Et de cela, les alliés, les soutiens et les obligés du général Kagamé ne veulent évidemment pas entendre parler. Les éléments contenus dans cette analyse seront naturellement occultés par la presse française à l’occasion du vingtième anniversaire du début du génocide du Rwanda. Les journalistes paresseux continueront à réciter une histoire obsolète ; quant aux journalistes militants ils recopieront ou liront les fiches qui leur ont été remises par les agents de Kigali. Un premier missile rata sa cible. La « communauté internationale » se montra plus empressée quand il s’agit d’identifier les assassins de M. Rafik Hariri (2005), ancien Premier ministre libanais, et de Mme Bénazir Bhutto (2007), Premier ministre du Pakistan. Si une telle opération avait été décidée, il n’y aurait pas eu de génocide. Aujourd’hui, à Washington, le général Kagamé voit son étoile pâlir en raison des accusations portées contre son régime par les défenseurs des droits de l’Homme. Après avoir rompu avec Paul Kagamé, le général Nyamwaza se réfugia en Afrique du Sud où au mois de juin 2010, il survécut par miracle à une tentative d’assassinat. C’est à l’occasion du procès des six Rwandais qui tentèrent de le réduire au silence qu’il fit cette déclaration. Voir à ce sujet l’interview donnée à Pierre Péan intitulée « J’ai assisté à la préparation de l’attentat qui a déclenché le génocide » (Marianne numéro du 28 mars au 3 avril 2014). A l’exception du jugement de Jean Kambanda, ancien Premier ministre condamné en 1998, après qu’il eut plaidé coupable contre la promesse d’une peine réduite, procédure qui de facto lui avait fait accepter l’acte d’accusation du procureur. Depuis, il est fermement revenu sur cette reconnaissance.